Here's the Rewind for the week! Monday: A review of Jurlique's Day Face Lotion post. Also, a post on yet another Dr. N V Perricone supplement ripoff. Wednesday: A post about a great website dedicated to quitting smoking. Become an EX! Thursday: A cooky cookie post about the winner of the Pillsbury million dollar bake-off. See the recipe that won. Also, a possible new trick with regular Nail Polish. Also, don't forget to enter the Total Beauty contest to win a chance to win a Hybrid Saturn Vue. Enjoy your weekend! I'll be in Boston for a couple days enjoying the Marathon activities! So I'll continue posting when I get back! 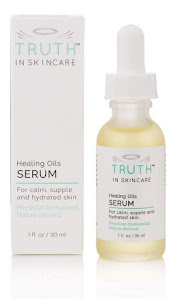 They'll be a bunch of (great) new changes coming to Truth in Skincare.